I have specifically chosen Kevin’s methods to work with a young rescue dog with aggression. His progress has been exceptional, and an intelligent, engaging dog that was slated for death in a shelter, is now a valued, loving and loved member of our family. I can’t imagine having this level of success with this animal without Kevin’s method of Natural Dog Training. It has allowed me to interact with my dog reaching his deepest feelings and helping him resolve them in a manner that is safe for him, and the people he interacts with daily. His future is bright indeed, and I owe this to Kevin. I work since 1982 with dogs and their owners. In all that years, training many dogs, I always had questions about aggressive dogs. I was always looking for an answer how to rehabilitate them, and give them their live back. But no Dog Behavior College, no dog training seminar or dog trainer could ever answer my questions… During the last 30 years I worked with many dog trainers, and used many dog training methods, but I never saw so happy (problem)-dogs as I saw in Newfane in Kevin’s camp! Each dog there had heavy behavior issues, but they all were attracted to Kevin. I could see and feel how much they trust him and how happy they joined their training schedule and behavior exercises. Kevin had a magnetic influence to their broken souls and defeated emotions. After few weeks working with Kevin Behan, I started to use the methods of Natural Dog Training on my own dog training program. Now I know there is NO better way to train a dog! No dog sport, obedience training, agility or clicker training can give a dog what he really needs by nature to fulfill his drives and emotions.Natural dog training has the answer. Thank you Kevin! Kevin’s impact on how I am living with and raising Spencer has been transformative. 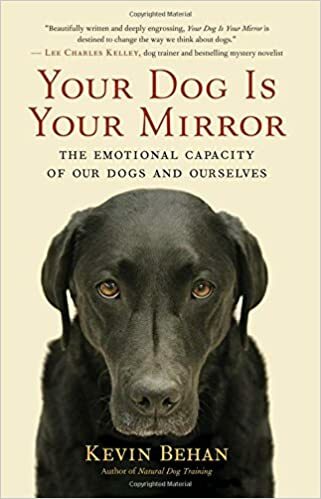 I brought him a troubled and confused dog and through a natural and organic process he enabled Spencer to channel his energy into becoming a confident, grounded, balanced, and happy dog. In truth, he did not train my dog, he trained me; for while my dog is barely recognizable from the one I adopted, it’s me who was given the tools and understanding from Kevin that were necessary to bring out the best in Spencer. I traveled across the country to work with Kevin because, having gotten a lot of help from a lot of talented trainers, he was the only one who seemed to be describing what I felt was *really* going on in the heart of my dog. I ended up learning more than I could have ever imagined. Kevin is the true “dog whisperer,” a rare soul whose intuitive understanding of the nature of canine emotion gives him unique clarity as a trainer and a human being. Working with Kevin was a privilege, and both me and my dog are grateful! 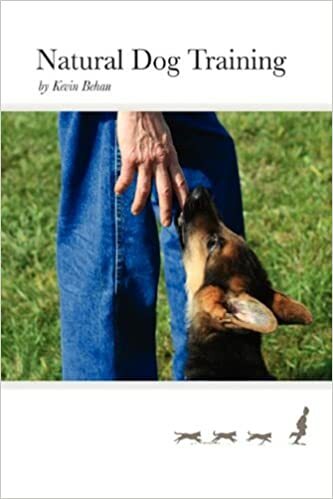 About 15 years ago I was looking for a training method that didn’t cause dogs physical and emotional distress and came across Kevin’s book, Natural Dog Training. Dogs are energized by (these methods) and really, really love them. I’ve used them successfully ever since. Kevin Behan knows more about dogs than anyone else on the planet. I found Kevin Behan in my quest to help my dog, Nola, overcome her aggression towards other dogs, since no ‘traditional’ method of dealing with the problem had worked. Kevin’s Natural Dog Training methods transformed not only Nola’s behavior, but also my entire way of understanding the canine world. And the human world, for that matter. The methods are practical, and the results are tangible. The first time I saw Nola flip from being aggressive to play bows, I knew that I had stumbled onto something amazing with Natural Dog Training. Now, years (and an apprenticed with Kevin) later, and having witnessed many other dogs similarly affected, I can say without hesitation that Kevin’s work is truly important in the canine community. Thanks for all your help, Kevin! Kevin is an anomaly. A rare mix of forthright honesty, quiet strength, and deep contemplation. The type of person few of us ever have the privilege to run across in our lives. I came to him to help me with my aggressive dog. And I left with a better understanding of not just them, but myself as well. He is a rare voice of reason amidst all the noise, static and confusion of not just the dog training population, but the world in general. The time my dogs and I were able to spend with him was a true gift. Not only has he helped my dogs get back in touch with their own confidence and power, allowing them to be calmer and happier, – he helped me do the same. Kevin doesn’t “fix” problems and behaviors. He re-establishes the connection and trust between dog and human. And through that reconnection, he opens the gateway to allowing our dogs to be the best thing they can be. Themselves.